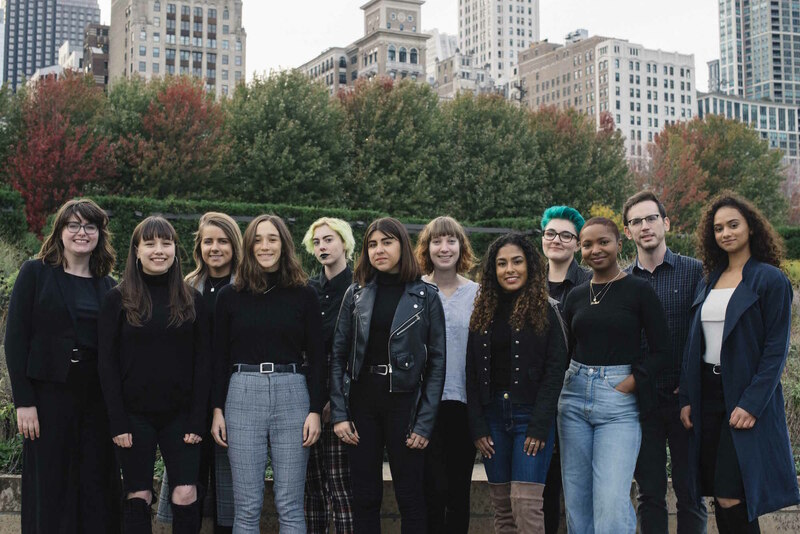 14 East is an independent online magazine based in Chicago. Run by students within DePaul University, we publish longform stories every week with an emphasis on multimedia and data. We’ve been operating since September 2015. As a newsroom, we explore anything from politics to health to culture. As a community, we strive toward inclusivity and transparency with both our readers and writers. We believe our stories aren’t complete when we put someone’s picture on the website; only when we’ve captured a person’s dignity can we say that we’ve done our job. We used to be headquartered inside the Daley Building on DePaul’s Loop campus — 14 E. Jackson, 60604. Now, we have an office in the main concourse level of DePaul Center — 1 E. Jackson. But besides being a geographic marker, “14 East” places our focus in the heart of Chicago as well as wherever the CTA takes us. Can I write for 14 East? Absolutely. Contact Madeline Happold, editor in chief, or Amy Merrick, faculty adviser, to get started or send pitches. You can also add yourself to our list of contributing writers here. Can I take photos or provide illustrations for 14 East? YES! Where have you been? Contact us at 14east.magazine@gmail.com to get started. Check out our staff page here. Follow us on Facebook, Twitter and sign up for our newsletter. Staff Photos by Annie Zidek.